Get your license reinstated without any hassles. 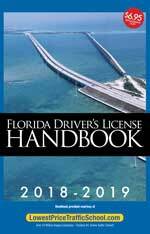 If your driver's license was suspended in the state of Florida for excessive points, or because you have been deemed to be a habitual traffic offender (non-DUI related), or by court order, then this is the State-Approved course you're required to take. 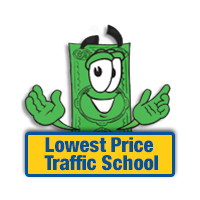 At LowestPriceTrafficSchool.com we're dedicated to helping people become smarter and safer drivers and we want to make the process simple and efficient. This ADI traffic school course can be completed entirely online in the comfort of your own home, or wherever you can find a computer with an internet connection. Is this course required for your situation? Suspended License / Revoked License - If your Driver's License has been suspended for 12 points within 12 months you will need to enroll in this course before applying for a hardship license. The DHSMV will also be sending you a letter requiring you to complete a 12-Hour Advanced Driver Improvement course. Habitual Traffic Offender (HTO) - If your Driver's License has been suspended for 18 points within 18 months, you have received a letter from DHSMV requiring you to take a 12-Hour Advanced Driver Improvement course for HTO. Court Ordered 12-Hour Traffic School - If your Driver's License has been suspended and you appeared in Court and the Judge ordered you to take a 12-Hour Advanced Driver Improvement course.